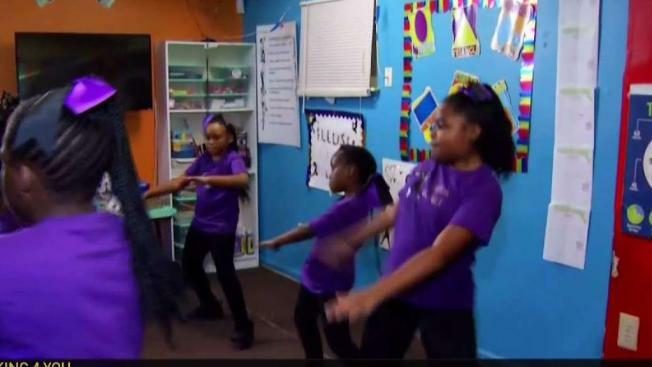 In a neighborhood plagued by violence, a local community center is trying to make a difference in the lives of young girls and teens. That effort took the shape of a dance team, but the team needs the community's help. The Illusions of Dance team needs new costumes, the Benning Courts Community Center says. The group has been getting an increase in requests to perform, and they also want to look the part. So far, they've raised over $3,000 on their GoFundMe page. "The new costumes would help us explore the world, get to do what we want and be kids," Elena, a 12-year-old member of the dance team, said. Organizers say the group keeps the girls focused and builds confidence while keeping them away from dangerous influences.